Happy 70th Independence Day, My Country! Every commemoration about Indonesia Independence Day always has different stories, but one thing that I know is about the spirit, the spirit to be proud as an Indonesian! 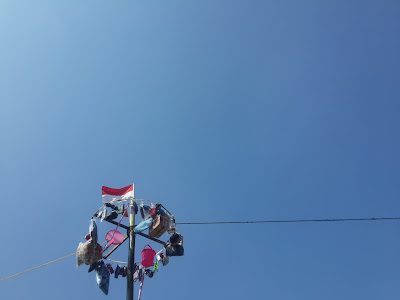 Through tons of hindrance in difference sector: economic, politic, and technology, we Indonesian always love our country. Take a look in the smallest community in geographical sector, like village. Different tradition, attraction, traditional competition was organized to bring the spirit of independence to the deepest part of our heart. Some people contributes in prestigious ceremony, the other contribute as a committee in independence day activity, where ever someone attended invitation to the government house. We are here same, we bring back our spirit through this commemoration event. Happy birthday, happy birthday, Indonesia.